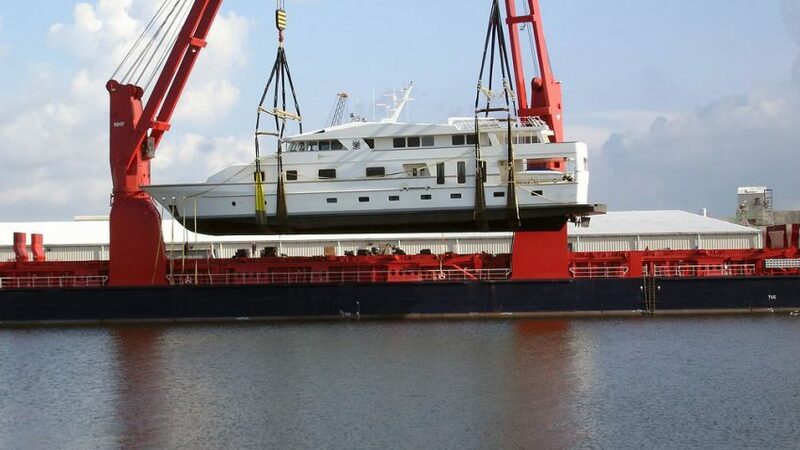 United Yacht is the perfect solution for oversized yacht shipping. With years of extensive industry experience, we have the tools and expertise to safely ship boats to all worldwide destinations. This includes port-of-calls and registries throughout North America, South America, The Caribbean, Africa, Asia and Oceania. Whether for boating shows, vacations or sailing holidays – we utilize high-end technologies to protect your vessel en route to its destination. Our highly-dedicated team also inspects your boat(s), while performing light repairs and optimal preparation for their voyage. As always, we take care of all paperwork, insurance and particulars across the board. Oversized, regular and small boat – yacht – and vessel shipping to worldwide docks and marinas. We handle personal boat transport requests, along with commercial transports, sailing holidays, family vacations and boat shows or transactions. We ensure all boats are safe during transport and perform key and detailed inspects before and throughout the trips. This includes light repairs, modifications and all safety guidelines for tugging, pulling or carry-on. We offer boat shipping for all types of vessels: luxury yachts, cruisers, cutters, liners, small boats, bulk-volume ships and more. We handle all paperwork and particulars for global boat shipping. This includes insurance and licenses, along with worldwide registries and port-of-call applications. Yacht transportation services for corporate gatherings, boat shows, trade shows, conventions and much more. We offer timely shipping for large container ships, steamers, and oversized boats for market sales, trades and other commercial – personal transactions. At United Yacht, we know that vessels come in all shapes, sizes, and designs. No truer is this than for oversized yachts, which can be challenging to transport from place to place. However, our dedicated team has the tools and expertise to take care of all your oversized yacht shipping needs. This includes precise logistics, along with special equipment to ensure timely, safe arrivals of your yachts to desired destinations. With an extensive network of maritime registries, docks and marinas – we guarantee safe loading and unloading of your yachts and boats. Whether with carry-on deck service or tugging and pulling, you can rely on us to get the job done right. No boat shipping job is ever too big or small, and we are fully certified and insured to handle any sized projects. With competitive rates and complimentary consultations, simply connect with us to receive a free yacht shipping quote and estimate. At United Yacht, we are proud to offer convenient and hassle-free yacht and boat shipping services. This includes to and from Florida and all global destinations. In fact, we feature a convenient interactive map at our site, which showcases the countries and regions we ship vessels and yachts to and from. We are also available to answer all your questions and concerns, as well as help you plan your itinerary for family or corporate charter fishing – sailing vacations. With our proven, affordable and unique boat delivery services, you also get free estimates and approximate ETAs on shipping and arrivals. Whether wishing to ship luxury yachts or boats, we can make it happen. We also continue to receive stellar industry ratings and customer reviews and offer a range of discounts for returning and recurring clients. With a proven track record of success yacht and boat transfers, why choose anyone else when we always get the job done? United Yacht always offers a comprehensive range of services to achieve all desired results. This includes pre-estimates on all boat shipping and transfers, as well as handling insurance and registration paperwork. 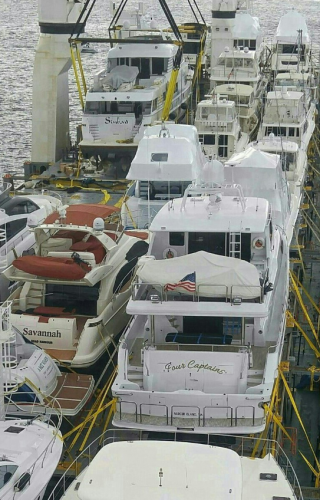 Our highly-dedicated team is simply committed to excellence in all boat transfers – and our business continues to grow and expand across Fort Lauderdale! For more information on our yacht and boat shipping and delivery services, simply contact us or visit our site today! United Yacht Transport, the North American leader in boat transport and shipping, is celebrating a record westbound sailing larger than any carrier has seen in years. Featuring 33 boats, this westbound North American sailing just began in Port Everglades over the Easter weekend and includes a 130 foot Hatteras and a 150 foot Skipperliner. 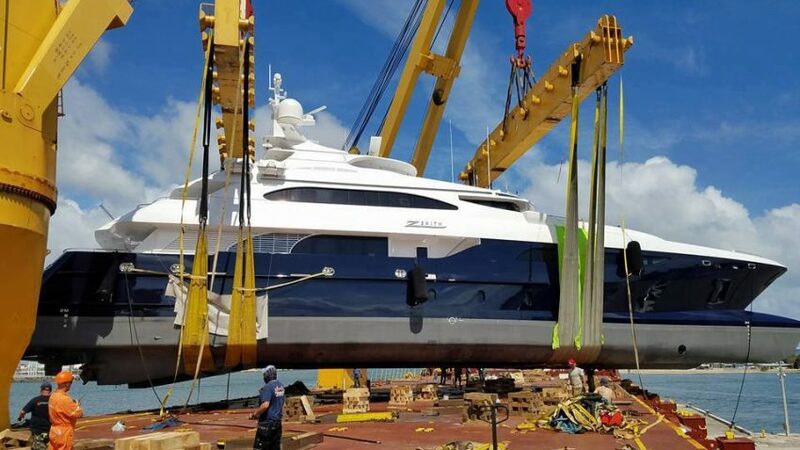 According to Paul Haber, the President of United Yacht Transport, “Our sailing was chock-a-block and we completely filled the massive M/V CP Cosmos.” The sailing boasted a wide variety of port calls, including Victoria, Busan, Singapore, and even a rare stop in Hawaii. United Yacht Transport has become known for reliable year-round sailings, competitive pricing, and an unmatched record for safety. Continuing to expand their position as the largest yacht carrier in North America, they have executed more eastbound and westbound North American sailings in the past two years than any other carrier. Furthermore, United Yacht is the only carrier to have an eastbound sailing this year, with a completely full sailing on the BBC Bergen leaving Victoria this week. Additional sailings for early May are being added in order to accommodate peak season demand.